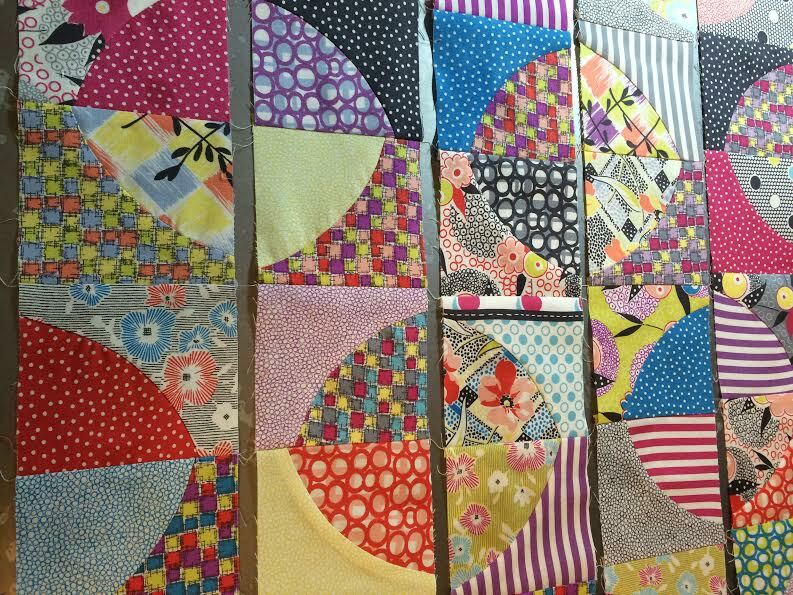 My internal clock tells me it's time for the Blogger's Quilt Festival. The festival starts the beginning of the fall quilting events, with market, festival and retreats soon to follow. I love seeing what my talented blogging friends have been up to. And as always, a big thanks to Amy for hostessing. Since this quilt was going to be donated to charity, I found some nice scraps. I got this wild vision in the middle of the night with the image of this quilt, and didn't want to wait to find a drunkard's path ruler (they're hard to find), so I used the lid to a pot. I was pretty disappointed at first to see that my points weren't matching up (should have waited for the ruler). But as it started going together, it grew on me . . . you know, the whole "new age movement", no quilt police here. 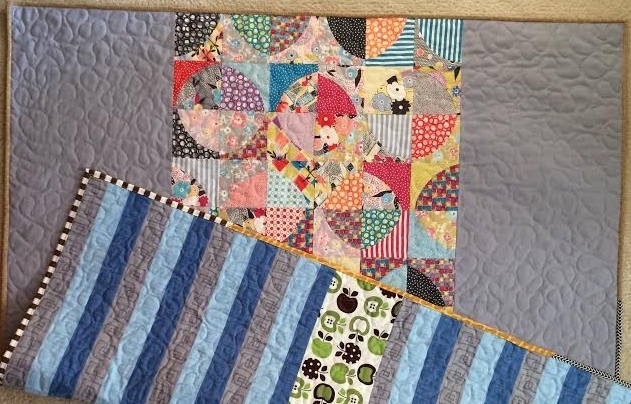 My favorite part of this quilt is the scrappy binding. It has ended being one of my favorite quilts. A couple of our adult kids were disappointed when they learned that it was being donated. 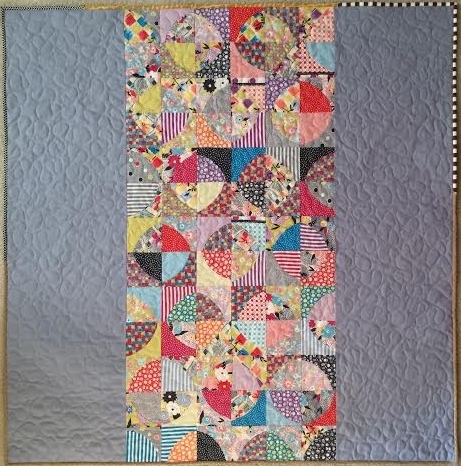 I'm linking up to the Scrappy Quilt Category in the blog festival. I hope you enjoy seeing all the entries. Don't forget to come back and vote next week! I remember this one! It is one of my favorites too...I love it! I would have been like you -- disappointed that the circle edges didn't align -- but I also think I would have been like you as far as changing my mind. I think it's a great quilt. I especially like the stripes.